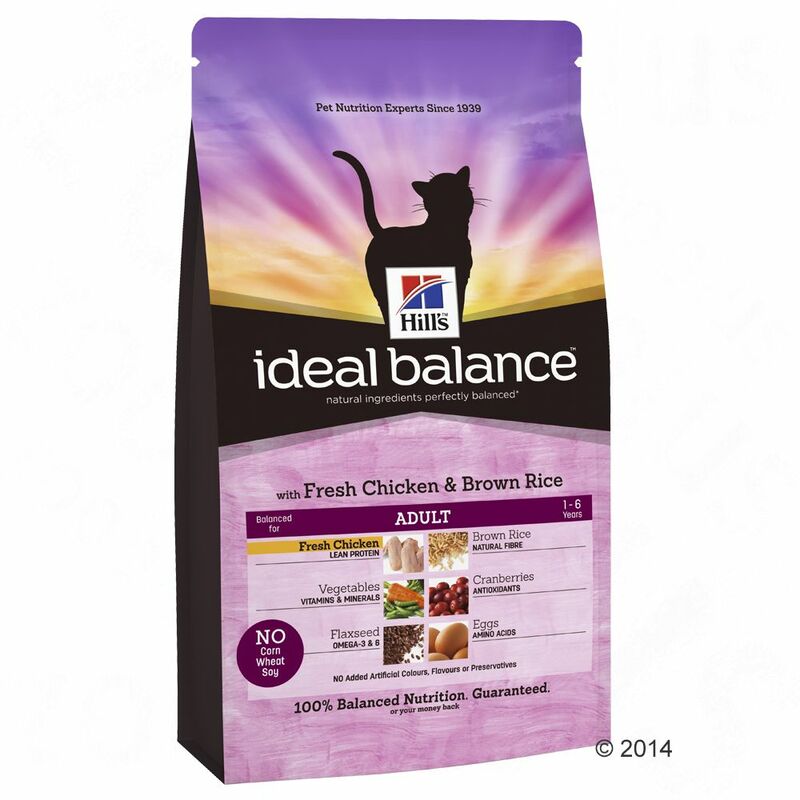 The Hill's Ideal Balance concept uses only natural ingredients to create recipes with optimal levels of over 50 nutrients, providing the perfect balance of nutrition for your cat's health. Foods that are lacking in proteins, fats, vitamins, minerals and fibre can lead to reduced growth, a dull coat, tiredneΒ and weakneΒ, as well as causing digestive problems. Too much of these nutrients, on the other hand, can lead to bloating, exceΒ weight gain, musculo-skeletal problems, bladder stones and an unbalanced gut flora. Hill's Ideal Balance Feline is perfectly balanced: The protein levels can help to build lean muscle maΒ and support healthy growth. Fats can improve skin health as well as creating a gloΒy coat. Vitamins, minerals and fibre can help to create a strong immune system, strong bones and strong teeth, as well as maintaining a healthy digestive system. Hill's Ideal Balance uses only natural ingredients, to ensure it always has a great taste and is highly accepted by cats. More information about the individual varieties can be found here: Hill's Ideal Balance Feline Dry Cat Food.